To more effectively reach people for Christ through Dr. Swanberg's God-given and God-called ministry gifts. To pursue more effective avenues of presenting the Good News of Jesus Christ through every possible means of Christian communications. To benefit people in need of hope, faith and love. To encourage the downtrodden, build up the faithful, and lift up Christian leaders through a resource ministry of encouragement. To involve others in Christian ministry so that Christian cooperation in ministry events will compliment the local church and all Christians in carrying out the command of our Lord Jesus Christ to evangelize and equip the saints to do the work of ministry. 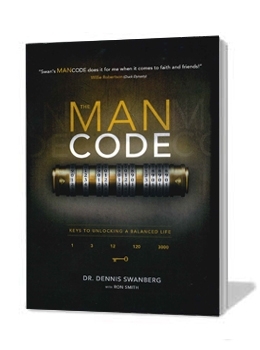 Swanberg Ministries was not organized for the private gain of any person. Instead, it is the ministry's purpose to bless the general public with the Word of God. 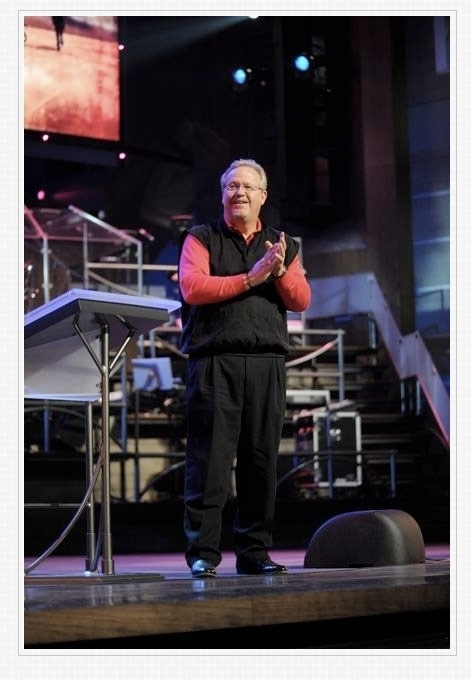 If you're interested in learning more about the teachings and minstries of Dennis Swanberg, check out his books which spread God's Word through stories, laughter, and wisdom. 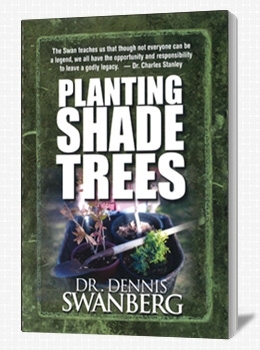 The best shade trees you'll ever plant...are the ones you'll never sit under! None of us are self-made. We're all sitting under "shade trees" that our forefathers, families, and friends planted. Now, it's your turn to leave a meaningful legacy by planting your own shade trees for others to sit under. Don't miss what Dr. David Jeremiah calls "Swan's deep insight into the importance of investing into eternity." We men are so predictable. As a way of avoiding even the remotest possibility of authentic relationships, most of us are quick to form a complex web of surface-level friendships, an ever-expanding collection of “buddies.” Yet we never manage to develop even one really close friendship, and it doesn’t stop there.